The world of content marketing changes constantly. As we continue to be exposed to increasing amounts of promotions and advertisements, it’s up to marketers to break through the clutter. The best way to do this? Staying ahead of curve by adapting effective content marketing strategies. The 2018 Content Preferences Survey Report found that 71% of the users they surveyed claimed that they consumed blog content during their purchase process. According to the same report, 40% of respondents shared that they went through 3-5 pieces of content before they engaged with a sales rep. Attaining success in content marketing is a hard nut to crack. According to the CMI 2019 B2B Content Marketing study, 90% of the best content marketers claimed that they prioritize providing value to customers over brand promotion. That being said, some of the best examples of content marketing we’ve seen in 2018 were super promotional. Where does that put you? What can you do to drive better results for your brand this year? Well for one, read this post! Let’s take a look at some strategies that you need to follow in 2019. Remarketing is the practice of showing ads to people who have visited your website as they browse the internet. Research shows that content marketers are now pumping a great deal of money into this strategy. Why? Because the more frequently a potential consumer sees an ad, the more likely they are to convert. 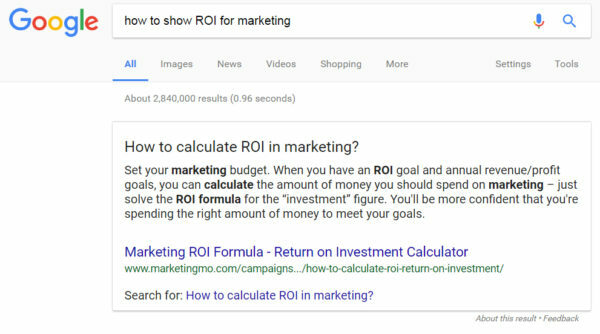 You may see a drop in your click-through rate, but remarketing makes conversion twice as likely for people who click on your ad after seeing it. Setting up a remarketing campaign can be very simple and require little resources. All you need is existing customer data to plug into the plethora of platforms at your disposal. You can use Google Ad Remarketing, AdRoll, remarketing options in Facebook Ads or RetargetLinks. What’s important to keep in mind is to segment your audiences accordingly so you don’t end up retargeting everyone with the same promotion. A surefire way to boost search traffic? Create more high quality, relevant landing pages. Develop as many landing pages as you think would be relevant – each one of them optimized for one or more keywords that your audience is likely to search for. Nuffield Health, for example, was able to generate 60% more revenue simply by creating more relevant landing pages and optimizing those for the right keywords. This is a great example of a company that sought to learn more about their market and customers and then integrated their new discoveries into content creation. Consistence is key when it comes to split testing. According to a research study by AdPushUp, the typical range of conversion rates is 1 to 3%. By using A/B split testing, you can increase your conversion rate even more – remember than just one additional percentage point can be immensely significant. Running A/B tests on just about anything – site speed, headlines, visuals, CTA, landing pages and anything else that impacts search performances – can help boost that conversion rate. It can also send more targeted customers to your product pages. For instance, you can run a split test on your product page, and test a product page variation against the control. By the end of the test, you’ll be able to tell which performed better, and then implement the test results for a greater number of visits. Remember, you also need to incorporate mobile users in A/B testing. For mobile testing, run the tests on key user behavior, particularly conversion related behavior like landing page preferences. By content snippets, we mean variants of your work that allow you to present your content in easily digestible and sharable formats. Every time you develop a tweet or Facebook post, create multiple variants of those. This should help you test each variation’s engagement level, and so develop more sophisticated sharing strategies as time goes by. You can create multiple titles that vary by length and/or complexity, include relevant questions, and add a call to action. Track the success of each variant – you can easily do so on an Excel file or Google sheets. It’s no secret that websites fund their existence using the IP or device data they collect from customers, and sell to advertisers. In the past, web users have mostly been content with this arrangement. However, recent years have shown them over and over again that companies do not do enough to protect their information. As a result, they have become skeptical. In fact, 57% of consumers believe brands do not use their personal data responsibly while 92% of online consumers have data security and privacy concerns. It has only become worse in the social media landscape, where no information seems to be private anymore. In order to earn customers’ trust, content marketers have to work hard to keep their personal information safe. The EU released the General Data Protection Regulation (GDPR) in 2018, which is a regulatory guide marketers can use to protect their consumer data. Organizations will need to incorporate enhanced privacy protocols into their websites and apps, and make this the default option. They will also need to ask for permission to use data more effectively, and clearly outline how they use said data. While such rules may seem restrictive to marketers, the fact is that they’re actually a blessing in disguise. For one thing, by asking for data permission, marketers can focus their efforts on customers who have explicitly confirmed they want to be contacted. What’s more, you can also ask your customers why they do or do not want to be contacted in the consent forms. This allows them to manage email opt-ins a lot more effectively, as well as gain insight into your customer’s privacy decisions. If you aren’t already conducting competitor analysis, you’re a little behind the game! Competitor analysis is no longer an option in this day and age. Most industry experts will tell you that search marketing success hinges on competitor analysis. When competitor analysis is conducted properly and its results integrated into your content marketing strategy, you can significantly improve a great many facets of your marketing, conversion rate included. The good news is that there are a wide range of tools at your disposal to spy on your competitors effectively. By using the right automated tools, you can easily get to know what your competitors are up to in terms of their number of quality links and where they are getting back-links. The first thing you need to do is figure out your strongest competition. A quick Google search should help you understand this. Search for your main keyword, and then see what sites come up in the top results. You can also use SEMRush, which allows you to plug in your main keyword and then helps you find out the exact web pages in competition with you. The next step is to analyze their links – click on any of those competing web pages and you’ll find the number of links it has earned, as well as where those links come from. Not all of your competitors require you to do a competitive analysis on – but do check out your biggest ones for their search performance, speed and back-links. No matter how great your content is, there’s little point to it if no one sees it. That’s why content distribution needs to be a core aspect of your content marketing strategy. In 2019, distribution begins with social media, but there is so much to it than just that. Content distribution channels include owned media channels, like your company’s website, emails, newsletters, blogs, and yes, social media pages. You can also pay to get your content distributed, using social media ads and Google Ads campaigns, or have your content distributed by third parties like PR pieces and guest blog posts. Be creative about getting your content in front of the right audiences. Passive distribution just doesn’t work, and it would be a shame to let your hard work go to waste simply because you don’t get it out there. Thriving in 2019 is a question of creating niche content that heavily targets a particular subset of customers. Given how heavily saturated the market is, with more content than ever before, content marketing really has to stand out to have a ghost of a chance. This means that you either have to create extremely creative or detailed content (which would absorb more time and resources), or you narrow your scope and create content for a smaller niche. Instead of fighting with other content marketers over the same audience, shift towards niche content. That means you write about “digital marketing campaigns for female entrepreneurs”, instead of just “digital marketing campaigns”. Identify niches in your industry that seem to have been ignored, and recognize angles that have been underserved. You’ve already got a leg up if you’re here. It doesn’t matter if you’re reading this post the day it was published or on December 31, 2019. The first step in executing a great content strategy is planning. Use the tips in the post to improve your content marketing strategy or build a foundation on it. Either way, we wish you the best of luck with all your goals! As a Sr. Editor at a content writing service, Mathew and his team at Content Development Pros have helped small and large businesses get results through content.